A priest has been killed in an Islamist attack on a church near Rouen in northern France. 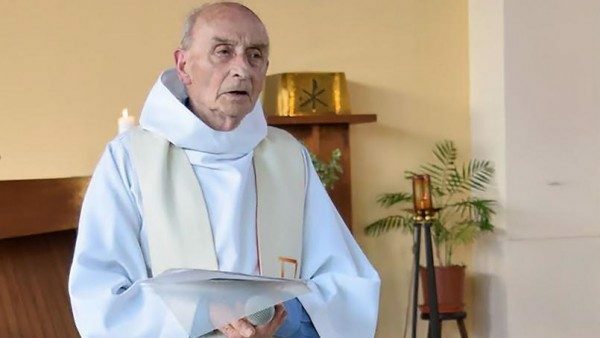 Archbishop Dominique Lebrun of Rouen released a statement in which he confirmed that Fr Jacques Hamel, 85, died in the attack on the church in Saint-Etienne-du-Rouvray by two armed men. They entered the building during Mass, taking the priest and a number of other people, including two nuns, hostage. ISIS have reportedly claimed the attack was carried out by two “soldiers” from the group, while French President Francois Hollande called it a “vile terrorist attack” and said it’s another sign that France is at war with ISIS, which has claimed a string of attacks on France. “I cry out to God with all men of good will. I would invite non-believers to join in the cry,” Archbishop Lebrun, who is returning to France from World Youth Day in Krakow, said in his statement. 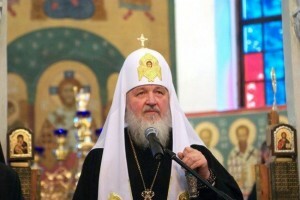 According to reports, the priest died after his throat was cut. Another person inside the church was seriously injured and is hovering between life and death, Interior Ministry spokesman Pierre-Henry Brandet said. 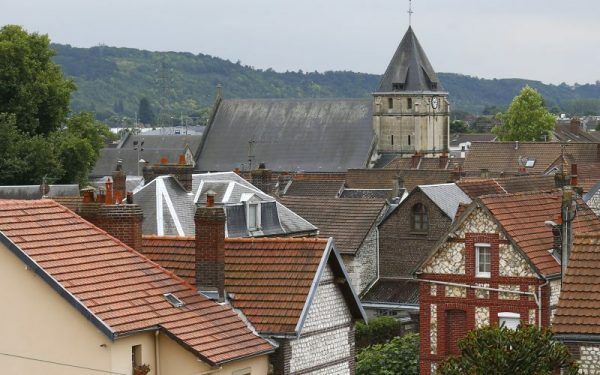 French police shot the hostage-takers dead and Brandet said the RAID special intervention force was subsequently searching the perimeter of the church for possible explosives and terrorism investigators had been summoned. It was the first known attack inside a French church in recent times. One was targeted last year, but the attack never was carried out. The anti-terrorism division of the Paris prosecutor’s office immediately opened an investigation. 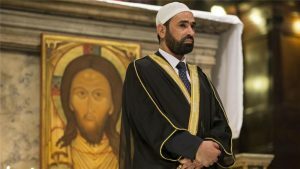 Reuters reported that between between four and six people, including the priest and two nuns, were being held at the church in Saint-Etienne-du-Rouvray. Vatican spokesman Jesuit Father Federico Lombardi said Pope Francis has been informed and expresses pain and horror at this “absurd violence”, Catholic News Service reports. “We are particularly shocked that this horrible violence occurred in a church, a sacred place where love of God is proclaimed,” Fr Lombardi said. French President Francois Hollande and Interior Minister Bernard Cazenevue is en route to the town of Saint-Etienne-en-Rouvray where the hostage-taking took place. French Prime Minister Manuel Valls has taken to Twitter to condemn the “barbaric attack”. “The whole of France and all Catholics are wounded. We will stand together,” he said. Cardinal Robert Sarah, also writing on Twitter, said he was “deeply shocked, horrified and scandalised” by the attack. “How many deaths for European governments to understand the situation in the West?” he wrote. France is currently on high alert after an attack in Nice on Bastille Day — July 14 — that killed 84 people and a string of deadly attacks last year claimed by ISIS that killed 147 others. France is also under a state of emergency and has extra police presence after the Nice attack, where man barreled his truck down the city’s famed Promenade des Anglais, mowing down holiday crowds. 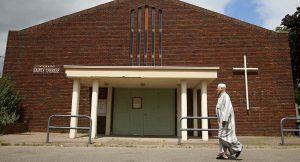 ISIS extremists have urged followers to attack French churches and the group is believed to have planned at least one church attack earlier. In April 2015, an Algerian student who was arrested after shooting himself in the leg was found with heavy weapons, bulletproof vests and documents linked to ISIS. He is charged with killing a young woman inside her car the same day. According to French authorities, the suspect, Sid Ahmed Ghlam, was sent by the Belgian Abdelhamid Abaaoud to attack a church in Villejuif, just outside of Paris. A cell directed by Abaaoud later carried out the November 13 attacks in Paris that left 130 people dead and the March 22 attacks in Brussels that killed 32 people.